Clinicians are diligent about double-checking their work to achieve a high level of professional care. Health analytics can offer valuable support to gain improved outcomes. Integration of medical calculators into the decision-making process enables standardization of tasks, improving quality and ultimately lower costs. Automation benefits providers and administrators and helps to conquer the challenges of the myriad of healthcare needs. The accumulation and increasing use of medical data will accelerate use of clinical decision making tools. Administrators will push for integration with hospital and payer systems. Our calculator platform is facilitating the ongoing transition to a more automated clinical practice. Analytics will transform diagnostics to the point where we expect automated systems to reduce physicians’ busy work. Doctors can be more devoted to the human element of care, while analytics running in the background will assist with diagnostics and administration. Medical calculators can also assist with various health administration and reimbursement tasks. 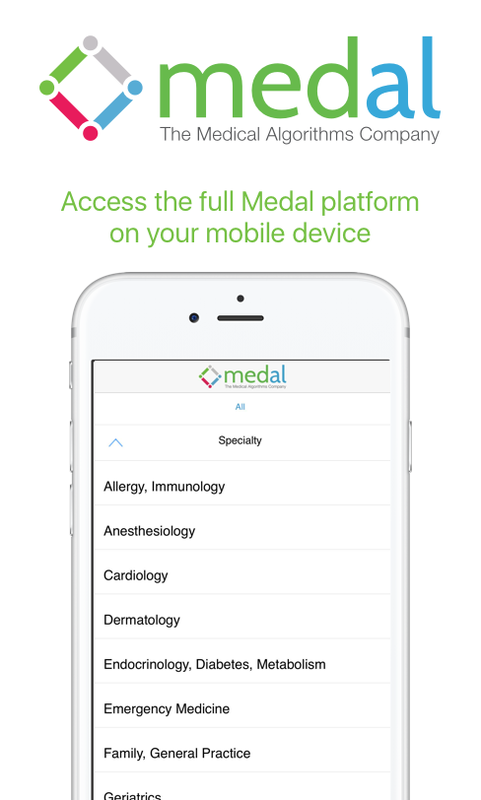 The entire Medical Algorithms Company collection is classified by ICD-10 codes to support physicians and administrators. The analytics help to confirm medical decisions, improve pre-authorizations, help with billing codes and make reimbursements more reliable. Relevant just-in-time knowledge reduces time demands on physicians, giving staff more time to see patients. Also, in a world where payment is fixed, predictive analytics are becoming important to reduce time needed per patient. Medical calculators provide an opportunity to increase efficiency through systematic, standardized metrics. Analytics-based systems can take on more of the technical and cognitive work of medicine. This will greatly improve healthcare quality and economics. Medical analytics can provide substantial benefits to administrators whose goal is controlling costs without compromising quality of care. 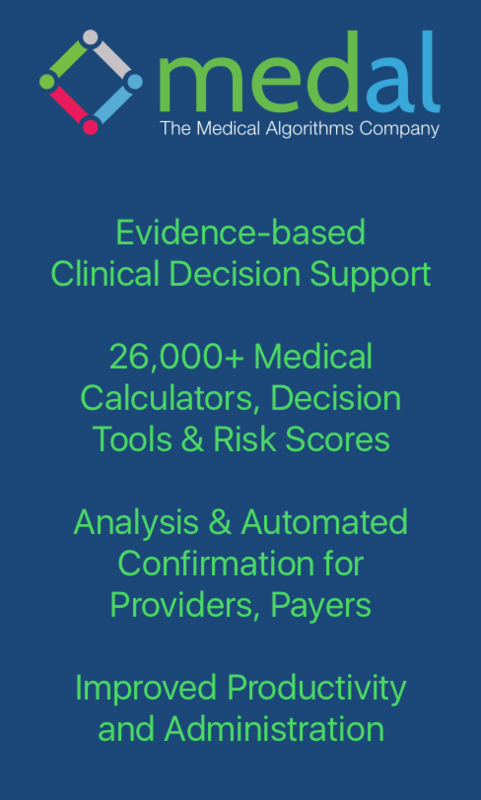 Analysis of medical outcomes in hospitals and other healthcare settings can be bolstered by utilizing medical calculators through the application of peer-reviewed, evidence-based analysis for just one patient or for a large patient population. Below are sample calculators from our vast knowledge base that can aid administrators charged with these tasks.